There are few health problems in life that seem incurable. One of such problem is the prognathism. Prognathism is a very common syndrome. This refers to the problem of protruding jaw. This is also known as Habsburg jaw. It is the condition where the jaw shifts from the usual alignment and hence looks protruding. This syndrome is seen in many. Although it might seem incurable but there is the perfect treatment for this. People often have a misconception regarding this health problem. Very few people know about the real reasons behind its occurrence. You must have the right idea about the occurrence of this problem. Gigantism: gigantism is one of the reasons behind the occurrence of prognathism. It is a rare syndrome. This disease occurs due to the abnormal growth of the hormone in children. Too much growth hormone results to this problem, which in turn leads to prognathism. This is one of the rare causes behind this problem. Malocclusion of the teeth: Malocclusion is the problem, which occurs when the teeth are not aligned properly inside the mouth. In such condition, the teeth are not properly fit in the mouth. It results in too many crowded teeth in the mouth which result in prognathism. It makes the jaw protruded and makes it look bad and unusual. Acromegaly: Acromegaly is another reason behind the occurrence of Prognathism. This is also a hormonal imbalance, which leads to too much growth hormone. For this reason, it often leads to the problem of protruding jaw or prognathism. This is also a rare problem but is one of the major reasons behind the occurrence of this problem. Acrodysostosis: This problem occurs due to the genetic changes in the fetus. This can cause various other disorders other than prognathism. These birth disorders are also known as congenital disorders. This problem is also a rare condition. Fragile X Syndrome: The fragile X syndrome is the genetic disease. This problem occurs due to the genetic transmission of disease from the parents. One of such disorders is the prognathism. This is often a problem, which is transferred genetically from the parents to the children. Basal cell nevus syndrome: Basal cell nevus syndrome is a group of defects. These defects are caused due to the genetic conditions. 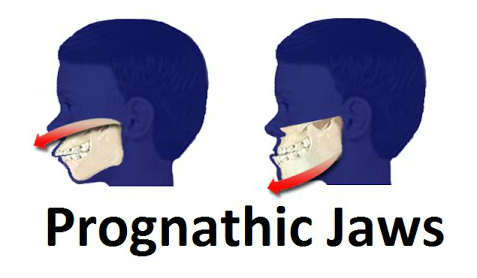 Prognathism is one of such diseases, which is transferred through this system. These are some of the common reasons for the occurrence of prognathism. If you had any misconceptions, regarding this then this can clear all your misconception. Moreover, this problem is curable now. If you have this problem, then you can surely take the doctors guidance for the treatment. There are various solutions available for this problem. You can now restructure your jaw with these treatments. If you are thinking of finding the best solution, then you can surely get one. The jaw restructuring treatments are readily available for you now.